United Nations Conference stamp issued April 25, 1945. Staehle cachet. 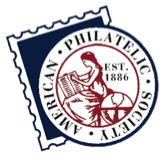 Welcome to the website of the American First Day Cover Society, a non-profit organization devoted to the advancement and collecting of first day covers. What is a First Day Cover? We have some guidance here.